Bad news for several bar owners in Hoboken: they've just been hit with license suspensions for all the bad behavior at last year's raucous Santacon celebration, and for a series of other bar fights. The harsh penalties comes just as the I-Team has been investigating a history of lax penalties. Chris Glorioso got exclusive access to Hoboken police as the city gets tougher on problem pubs. After years of avoiding tough penalties, several Hoboken bars are being ordered to close temporarily – or permanently - as punishment for playing host to a series of dangerous, drunken bar fights. Some of the penalties stem from incidents during last year’s “SantaCon” pub crawl, a sometimes unruly, annual event that attracts thousands of people dressed in Santa Claus costumes to Hoboken’s busiest bars. At a meeting of the Hoboken Board of Alcohol Beverage Control on Thursday, five bars were issued license suspensions that ranged from two to 30 days. 1 Republik, a bar accused of serving intoxicated patrons and playing host to several violent fights, was ordered to permanently close and transfer its license to new ownership. Oliver Caulfield, who owns 1 Republik, said he would not contest the order to close his bar. He did dispute the notion that his staff was responsible for fights that caused injury to patrons. 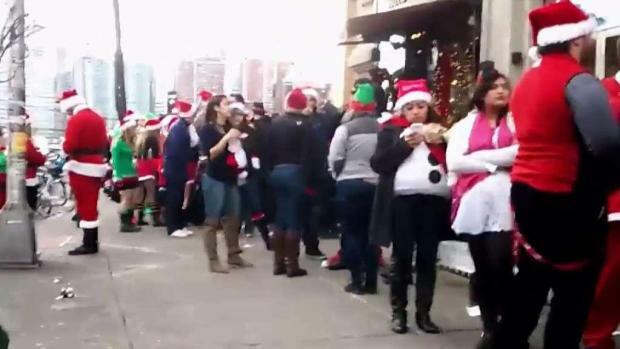 Hundreds of people dressed as Santa Claus took to the streets of Hoboken to bar-crawl Saturday. The city's police chief said the event resulted in more than a dozen arrests and that an officer was punched by a woman. The I-Team reached out to the Hoboken Hospitality Association and the Hoboken Chamber of Commerce, two organizations that represent the interests of bars and restaurants. Neither organization responded by the deadline for this story. In recent years, Hoboken bars facing license suspensions have had considerable success getting those suspensions reversed by appealing to the state Division of Alcohol Beverage Control. The I-Team used a public records request to obtain outcomes of every ABC appeal since 2015. Nine times out of eleven, bars accused of serious liquor law violations were able to convince state regulators to squash their suspensions in favor of relatively small monetary fines. Hoboken Mayor Ravi Bhalla said the appeals allowed too many bars to get away with bad behavior. He is now working with the New Jersey Attorney General, who oversees the state ABC, to reduce the number of liquor license suspensions that are reversed in Trenton. 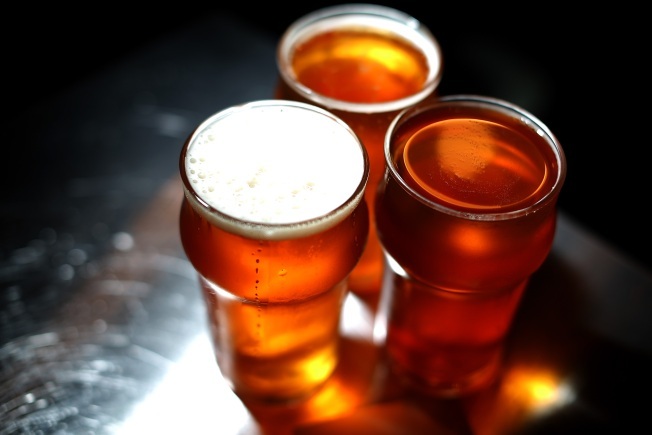 “The vast majority of bar owners are responsible license holders, but a very small number of establishments have failed to adequately control their patrons and the activities within their premises, leading to severe public safety issues,” Bhalla said. The tougher penalties announced this week, come just days before Hoboken is set to see another influx of young drinkers on the day-long pub crawl known as “LepreCon.” Police Chief Kenneth Ferrante says drink-fest, to be held on March 3rd, will be an all-hands-on-deck event.